Sooner or later, many of us will want to ship heavy and large items overseas, but as you very well know, shipping such items internationally can cost you quite a lot of money. So even if you do go with the most affordable and cheapest shipping carrier, you will still be required to pay hefty amounts of money. So what are your options in this case if you don’t have that money or want to ship your items for a cheaper price? Well, in this case you may want to go with an ocean freight shipping service. One thing you need to know about ocean freight shipping services is the fact that they’re going to help you ship just about anything overseas without poking your wallet. So if you want to ship your car or maybe a few pieces of furniture, all you need to do is make sure at you meet their minimum weight/cost requirements and then you’re all set. They also charge very little money per pound, so this means that you could very well send your car overseas (for instance) for several hundred dollars. 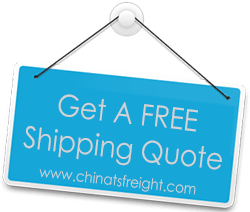 Do you want to ship a few hundred items overseas and you want to make sure that they’re all going to arrive at their destination on time and in one piece? Well, in this case it seems that shipping them using ocean freight services is the best way to do that. Since ships can carry thousands of containers, you can have the peace of mind that no matter how many items you would like to ship, there’s always going to be plenty of room for them on the container carrier. While in the past it would take a long time for you to ship anything overseas via ocean freight services, now transit times have gotten shorter. This means that if you want to ship your furniture overseas, you can expect it to arrive at its destination in 2 to 3 weeks from the date you have shipped it. This is a lot faster than the 2 months which it used to take to ship such items overseas not too long ago. All in all, if you want to save money and have the peace of mind your items are shipped safely worldwide, make sure to use a reliable and well reputed ocean freight shipping service.